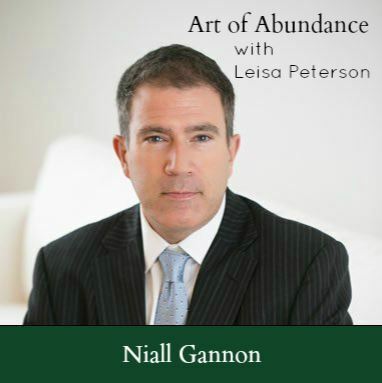 Today’s conversation is with Niall Gannon and we are talking about the landscape of wealth and what it really means to fully embrace a wealthy life. According to Niall, the meaning of wealthy has become one of the least understood concepts of our time. Explaining that whether you desire wealth or not the roadmaps to success have been painted over by outdated financial models, politically charged rhetoric and at the core of wealth, it is simply a number. Having worked with high net worth individuals for much of his career, Niall brings a unique perspective to this conversation. Niall J. Gannon is a Private Wealth Advisor to ultra-high-net-worth investors and lead member of the Gannon Group. He has been recognized as one of the nation’s top 100 Financial Advisors by Barron’s and Registered Rep. He is the author of Tailored Wealth Management: Exploring the Cause and Effect of Financial Success (Palgrave Macmillan; 2019) and Investing Strategies for the High Net-Worth Investor: Maximize Returns on Taxable Portfolios (McGraw-Hill, 2009). In 2018 he published The Efficient Valuation Hypothesis in Seeking Alpha. Niall has appeared on CNBC & National Public Radio and been quoted in the New York Times, Wall Street Journal, and Barron’s. His research has been featured or quoted in ten books and academic articles by other authors. Niall has addressed the CFA Institute, Institute for Private Investors, Portfolio Management Institute, Family Office Exchange and Tiger 21. The post AALP 224 – The Landscape of Wealth with Niall Gannon appeared first on Wealth Clinic.